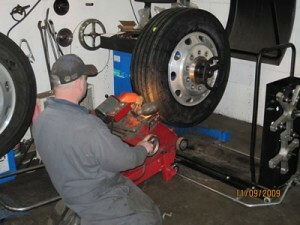 We provide tires, tire mounting & computer balancing, as well as on the vehicle tire truing & balancing. Tire truing is a process of shaving off the high spots on your tires & making your tires as round as possible resulting in a smoother more comfortable ride & longer tire life. 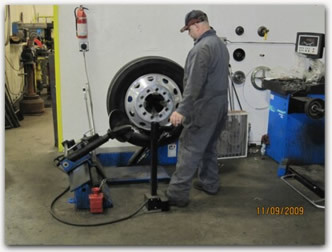 When balancing your tires on the vehicle you receive the added benefit of balancing not only the tire & wheel but the brake drum or rotor & hub as well to assure the smoothest ride and longest tire life possible.